Hagia Sophia, or the Church of the Holy Wisdom, was built in 537 as a Byzantine church. It was later converted to an Ottoman mosque and then to a museum. 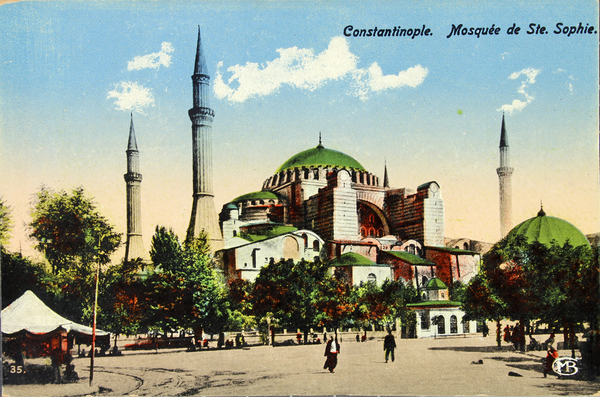 Over the centuries, visitors to Istanbul have taken home prints, paintings, and postcards of the iconic building. Have you ever visited a space with such a layered history? What was it like?